This is a product that I reaaaally wished were sold in the Philippines! This is one of my bottles of Pond's foaming facial washes. 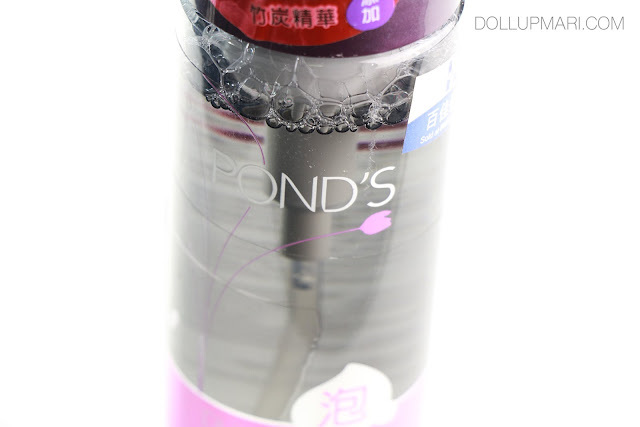 I've been able to buy foaming washes from Pond's from China and Hong Kong since waaaay back in 2010, and I'm honestly puzzled as to why it isn't here yet. I know we are still into all the facial scrubs, but I am really excited for something like this. And this is how it looks like. 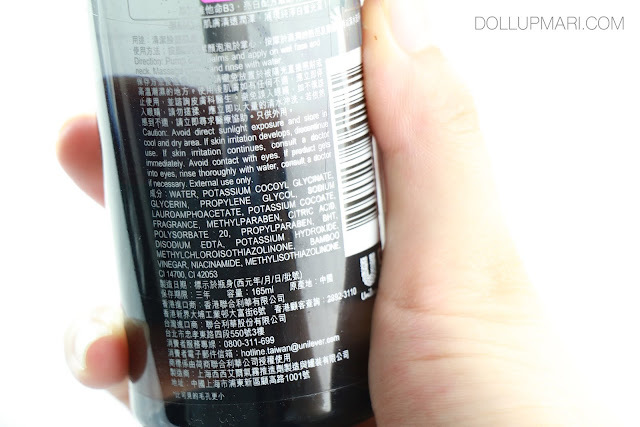 This is Pond's Pure White foaming wash, so I think it's black due to the activated charcoal promise. But the foam and the liquid are both white. 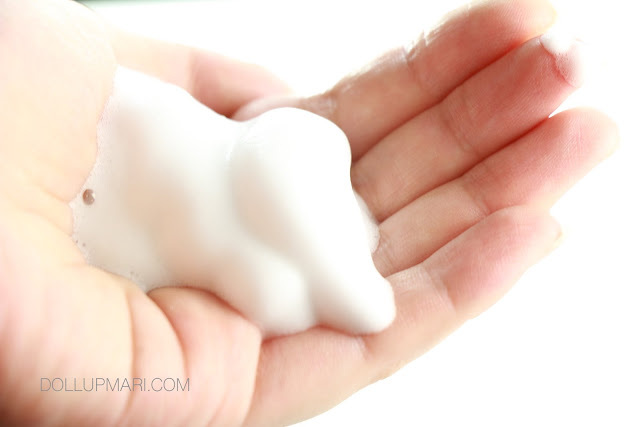 This is not like some thick dishwashing soap just diluted in water and used with a foaming bottle, you can really feel that it's facial wash formulated at this consistency. It says that the microbubbles are even smaller than your pores, so they are able to enter and provide a deep clean as they take all the dirt out with them. This is how it looks like. 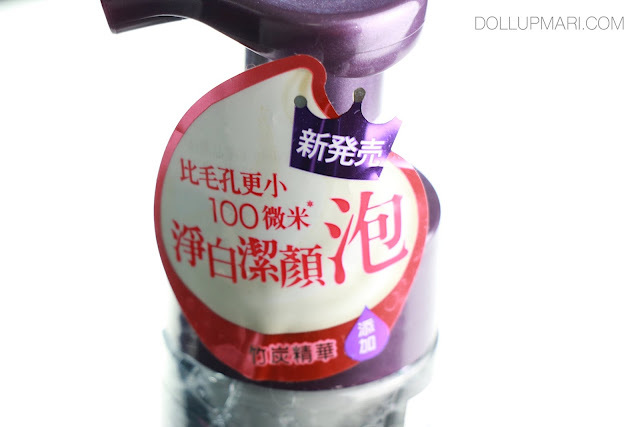 It is a really creamy and rich foam. It's not the kind of foam you get from dishwashing or laundry detergent. It's a luxurious foam, and it doesn't feel drying. It really feels like you're using a facial wash, but a gentle and soft one. It feels refreshing to use, and it does pack a deep clean despite being so gentle. The best part was that since this is foam, it takes a long time before it gets used up. I take 3-4 months with one bottle, using the product twice a day, before I actually use it up. This is already my 4th Pond's foam bottle, which is why I can already attest to the value for money. I got this at 60HKD (it's more or less Php300++). I know it's pricey compared to a lot of facial washes here, and compared to Pond's other offerings. I know Pond's is trying really hard to grow its middle class market share, which is why they are looking more into bringing in the facial washes that are half the price of this, but I really wished that they bring this in.